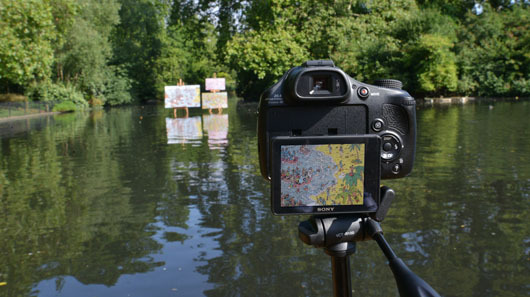 This week we got our feet wet to demonstrate Sony’s new super zoom HX400 and HX60V cameras to the consumer lifestyle press. 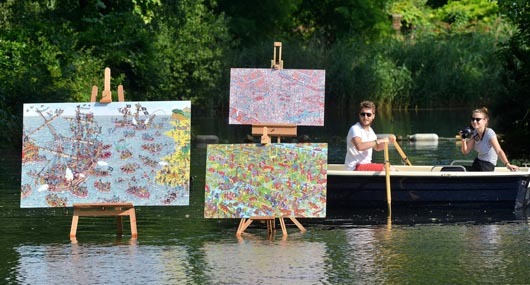 Working with “Where’s Wally?” creator Martin Hanford, we made the world’s first off-shore art gallery – an exhibition that appeared to float on a London lake. Safely situated on the shore, media and the public alike were encouraged to find Wally through the powerful Sony lenses – using the zoom to get an up-close and personal perspective on the images that lay 10 or 20 metres away from them in the middle of the lake. While giving key media a hands on experience with the new camera we also managed to generate news from the fact that the public were competing to spot the man in stripes. 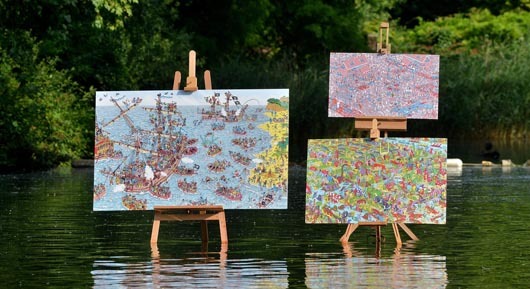 The ultimate treasure hunt made picture of the day in The Guardian and HuffPo, while we got cracking write-ups in the likes of the Daily Star, GadgetsBoy, MSN, Time Out, Stuff, Mail Online, Trendhunter, Yahoo!, WJLondon and whole host of photography press. We’re also expecting new reviews (for cameras that have already launched) in the likes of the Daily Star, Metro, Evening Standard, Shortlist, The Sun, MSN Tech and Askmen.com, amongst others.